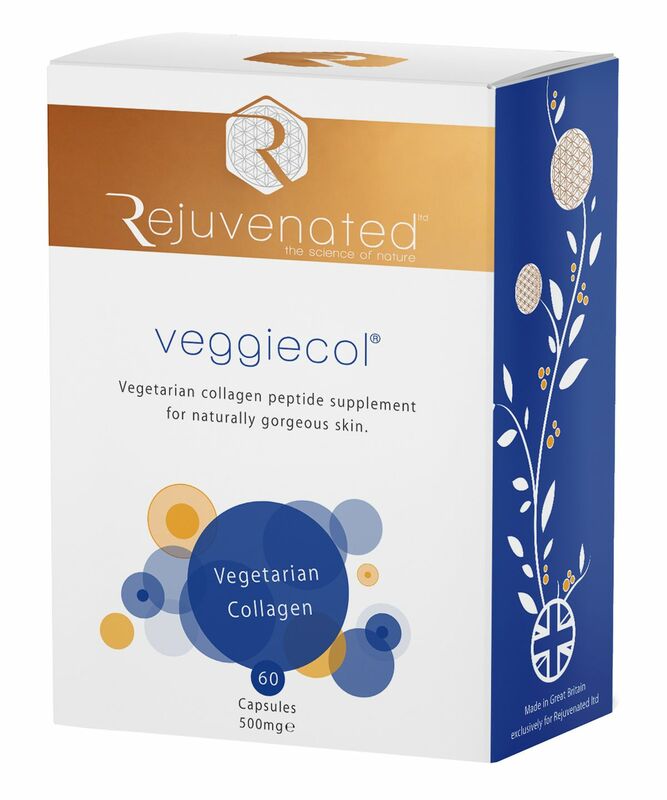 A vegetarian alternative to Rejuvenated Ltd.’s marine-based Collagen Shots, Veggiecol uses a unique, patented combination of collagen, hyaluronic acid and over 500 other ingredients, including super fruit açaí berry, vitamin C, vitamin B, copper and zinc. Supporting healthy DNA, protecting from oxidative stress, softening skin and supporting normal, even pigmentation. If you’re a veggie, you’ll never have to miss out on the skin-boosting goodness again. Collagen is effectively the ‘fabric’ of the skin – interwoven strands, which provide skin strength, elasticity and structure but sadly (like mum’s Laura Ashley sofa) – gradually show signs of wear and tear. Collagen synthesis starts to slow down at around age 25 (eeeeek!!!) and reports show that by the time you hit 45, collagen levels have fallen by as much as 30% – which is when those creases really start to make themselves at home. So ‘three cheers’ for Rejuvenated Ltd.’s Veggiecol, the vegetarian alternative to the brand’s adored Collagen Shots. Combining a unique, patented extract of collagen, hyaluronic acid, açaí berry, plumping hyaluronic acid and vitamins B and C, which work together to promote softer, smoother skin. So don’t resign your skin to the beauty attic, just conduct a little backstage reupholstery, to make it look as good as new. Take 2 tablets daily with a glass of water. Not suitable for vegans and those with allergy to eggs.